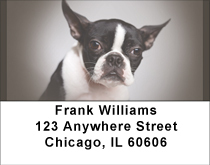 Get Boston Terrier checks and coordinating accessories including checkbook covers and return address labels. 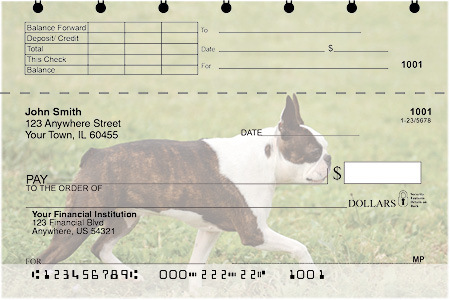 Some Boston Terrier checks are available in side tear format. Click any item for more info and to place your order. 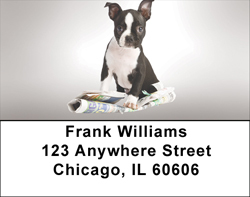 Be sure to check our Special Offers page for coupon codes and savings links.